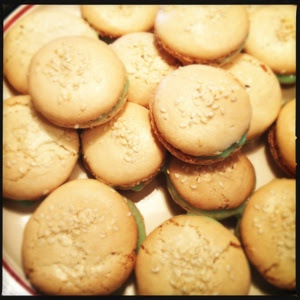 These are sesame and lime ones, made for having with The Tea (post-family-dinner) on Easter Sunday. 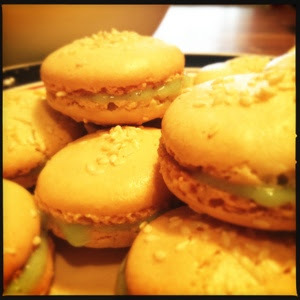 As with the previous macaroons, these are made from a recipe from a book simply called Macaroons, from the Love Food series, I take no credit for the recipe! 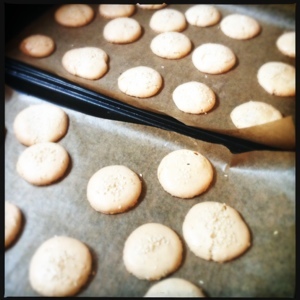 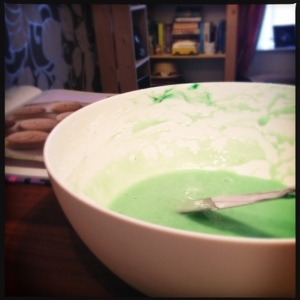 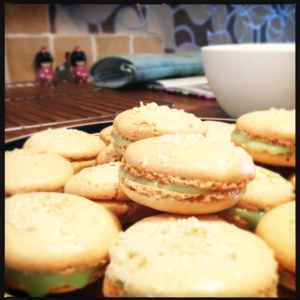 I think I'm going to have to do some make and do that doesn't involve macaroons next though! 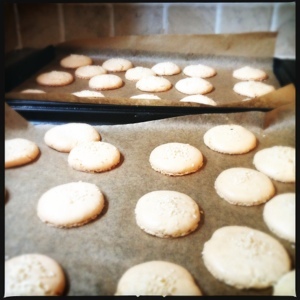 There seem to be quite a lot of them on my blog these days!